Our wedding weekend will be a busy weekend for air travel so please book early. 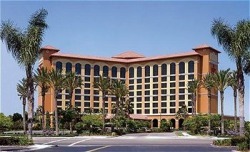 The closest airport to the hotel is Orange County/John Wayne airport (SNA). All major airlines fly there. A shuttle from the airport to the hotel is about $25/person. The two main shuttle companies are Super Shuttle and PrimeTime. Reservations are recommended. A taxi cab is about $50 and is recommended if you have several people in your party. 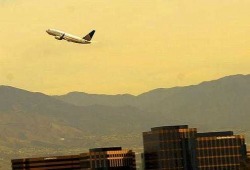 For those flying to Los Angeles International Airport (LAX), shuttle services to the hotel will cost more. Our wedding and reception will be at the Crowne Plaza Hotel and Resort in Garden Grove, we have blocked some rooms for guests. Guests should contact the hotel directly at (714) 867-5154 and ask for Jenn Pastoral, Reservations Coordinator. We have rooms at $120/night under the "Rupa and Viral" wedding party.